Thank you to our wonderful 419 members!! We have surpassed our last year member count by 44 members! a stronger voice to advocate for our kids. when PTA leaders from all over the state go to Olympia. please consider joining PTA to give a BIGGER voice to our PTA leadership. how to help make YOUR voice heard! 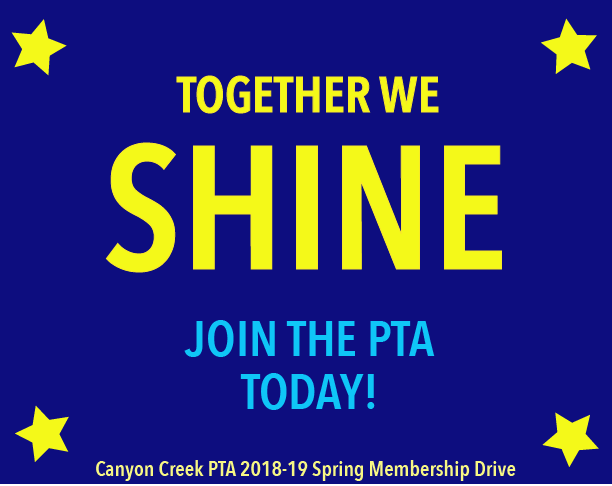 Join Canyon Creek PTA Today! !